Two years ago the Department of Energy established the Center for Advanced Technology Evaluation (CENATE) at Pacific Northwest National Laboratory (PNNL). CENATE’s ambitious mission was to be a proving ground for near-term and long-term technologies that could impact DoE workloads and HPC broadly. This month the leadership baton was passed from founding director Adolfy Hoisie to Kevin Barker, a veteran PNNL researcher and member of the CENATE project since its start. Hoisie has moved to Brookhaven National Lab to lead another new initiative as chair of the just-formed Computing for National Security Department. In its short lifespan, CENATE has made steady strides. It has assembled an impressive infrastructure of test and measurement capabilities to explore computer technology. 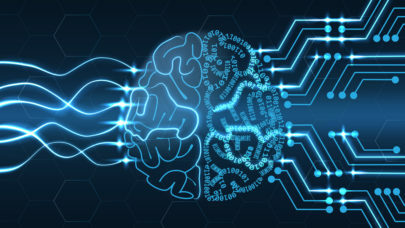 It has tackled several specific projects, ranging from the study of novel architecture from Data Vortex and Nvidia’s DGX-1 to longer horizon efforts around neuromorphic technology. The change in leadership, emphasizes Barker, won’t alter CENATE’s ambitious plans, but it will enable refinement of several processes, notably an effort to forge tighter links to the HPC community writ large, including DoE researchers, academia, and commercial technology partners. Today there are about a dozen CENATE staff at PNNL, says Barker. One of the biggest changes will be standing up a more inclusive, more activist steering committee to guide CENATE. Recently, HPCwire talked with Barker about the developing plans for CENATE and its priorities. Barker is certainly no stranger to HPC. He joined PNNL in 2010 as a senior HPC research scientist rising to team lead for modeling and simulation in 2014. Before joining PNNL, Barker spent nearly six years at Los Alamos National Laboratory as an HPC research scientist. HPCwire: Your prior CENATE experience will no doubt be helpful. Perhaps you could describe your role and provide a sense of what CENATE has accomplished to date. Barker: Really, I’ve been with CENATE since it began. It had a couple of focus areas in terms of how it was organized internally. I was in charge of one of those areas around performance predictions. The idea was that CENATE would be a program that encompassed not only of testbed and performance measurements but also would take those performance measurements we could get from physical systems, or prototype systems at small scale, and use performance prediction techniques to explore what those performance impacts would be at large scale. That was my role. Now, I am the PI. In the first two years of the project, CENATE has deployed testbeds incorporating emerging technologies in the areas of processing, memory, and networking, and has engaged with the research community to assess the applicability of these technologies to workloads of interest to the Department of Energy. Specifically, CENATE has explored high-throughput architectures applied to large-scale Machine Learning frameworks; non-volatile memories; reconfigurable optical networking technology; and self-routing, dynamic, congestion-free networks applied to graph analytics. Through a broad community engagement, CENATE has ensured that its findings are fed back through workshops and deep collaborations with leading researchers. HPCwire: That’s an extensive list. What’s going to change? Barker: This change in leadership isn’t a dramatic change in terms of the technical capabilities or what we hope to accomplish technically. Now we want to ensure CENATE is more tightly integrated with the outside community, the HPC community in the DoE, and the vendor space. We also want to make sure the work we are doing at CENATE has an impact back at the DoE. We’re working on getting a good plan in place to accomplish that – engaging with the vendor community, engaging with application developers, systems software developers, with the DoE complex making CENATE resources available to those people so that we can have a collaborative research environment. They can bring their problems to CENATE and we could provide access to some of these novel and emerging technologies that CENATE is tasked with assessing. HPCwire: Maybe we should step back and review CENATE’s mission. How do you see it evolving, particularly in light of establishing a more inclusive and activist steering committee? Barker: Again, it hasn’t really changed. When the steering committee stands up we envision CENATE taking on two kinds of tracks in terms of the research and the resources that we look at in each track. In the first track, we envision a shorter time scale where we are looking at technologies that are very near to market that we can get close to either prototype hardware, early release hardware, or engineering sample hardware. For the second track, in terms of timescale, we want CENATE to have an impact on more novel or high risk architectural approaches. So we might look at such things as beyond Moore’s Law computing technologies. We envision the steering committee having a big impact because we want to have some indication from the community regarding what are the technologies that we should be most interested in from a community perspective. [Tentatively] we envision a fixed six-month schedule steering committee meetings in particular to discuss what architectures should be look at in the next six months window and feedback from the previous six month windows. We haven’t decided yet whether those will take the form of a meeting or workshop where we have more community involvement from outside the just the steering committee. Those are some of the thing still under discussion. HPCwire: Given the importance of the steering committee, how big will it be and who will be on it? Barker: It could be 15 or so organizations, maybe a person from each organization. We would like to have participation from other labs in the DoE community, and potentially academic partners. For example Indiana University is a major user of the Data Vortex architecture so it makes sense for them to participate. The third group being the commercial vendor space. We want to have this settled (and up on the web) before supercomputing (SC17, November 12-17). HPCwire: There are so many new technologies bubbling up at various stages of development. Adolfy had mentioned interest in developing neuromorphic chips. Is that work ongoing? What’s the thinking on longer term technologies? Barker: We are definitely interested in these longer term technologies and think that CENATE can have a big impact in the community, presenting that to the funding sources and say hey we want to have CENATE really to be positioned to have an impact beyond the next thing that you can buy from your hardware vendor. To explore the next gen technologies that aren’t necessarily tied to commercial products at this point but may still have real impact, particularly in the generation of beyond exascale. For example, the exascale systems are pretty well covered with the Exascale Computing Project. We’re very familiar now with what those systems are going to look like. People are very focused to get their applications to run on those architectures. That’s not really where we see CENATE having a play. In looking beyond that, what are the technologies that are going to shape high performance computing beyond exascale timeframe? We really want CENATE to be positioned to have an impact in those areas. This is what I mean by saying a refinement of the CENATE direction. Up until now CENATE has looked at a number of near-to-market or new to market technologies. And they have had a big impact. The DGX-1 is great example. We stood up a DGX-1 and immediately we had users from around the lab complex and academia clamoring to get on the machine to explore how their applications are going to perform to develop system software and things such as that. But we want CENATE also to look beyond that, things like extreme heterogeneity, software reconfigurable computing. So this is really why we are placing and emphasis on the connection to the research community so that we can get as much as is possible an accurate prediction of why these are the technologies that we think are going to make an impact. How can CENATE position itself to help assess those technologies in the near-term and that might involve a much deeper dive into specific technologies? CENATE doesn’t have an unlimited amount of resources (time personnel dollars) so it’s very important we target those things as effectively as we can. HPCwire: Funding is always an issue on advanced research and DoE is a big player. What about tapping into programs such as DARPA’s Electronics Resurgence Initiative (ERI) which is focused on post-Moore’s law technology and just received additional funding? Barker: There are definitely some programs that worth [looking at]. We are not working with ERI in particular although that could be something we explore together with program management from DoE headquarters. But there are some opportunities exactly along those lines that we are looking into but nothing firm at this point. HPCwire: Given the various changes, and the enhanced role of the steering committee, is it premature to identify the top five technologies we are going to tackle in the next year? Barker: Exactly. Unfortunately the end of the year is kind of a busy time in the HPC world with SC (supercomputing conference) and everything else going on. We hope those kinds of things pinned down with at least some degree of certainty within the next few months. HPCwire: One of the distinguishing aspects of CENATE is the diversity and sophistication of the test and measurement equipment and capabilities at PNNL. What’s happening on that front? Barker: We have equipment for testing power and energy and well as for thermal measurement capability. That is still all in place. We’re expanding the evaluation test suite that we have been using up until this point, the benchmark codes. CENATE itself has an evaluation test suite in addition to reaching out to collaborators who are interested in the equipment and who bring their own software test suite. We’re interested in looking at these machines in the context of numerical simulation, high performance computing codes, as well as graph analytics codes, machine learning codes, so we are expanding that set of benchmark codes, but the measurement capabilities we have in place are still in place. HPCwire: It sounds like, among other things, you are adapting your capabilities to be able to handle emerging, nontraditional ‘HPC’ needs such as deep learning and data analytics? Barker: Right. One of the important things when we are looking at these architectures, and the DGX-1 is good example, is we want to evaluate those technologies in the mode they are designed to operate in. The DGX-1 really is designed as a deep learning/ machine learning architecture. Exploring simply traditional HPC simulation codes on it might not be the most appropriate thing to do. We want to paint it [DGX-1 performance and potential] in the light it was designed for. Our evaluation suite of kernels and benchmarks needs to encompass those application areas that these architectures are targeting. And things like machine learning and deep learning are becoming such a part of the DoE workload that for CENATE to remain relevant to the DoE we need to have that capability. The DoE HPC landscape is much more than tightly couple code. HPCwire: In the past there had been talk of CENATE workshops and other outreach efforts to diffuse CENATE learnings into the community but I don’t think much has happened along those lines yet. How do you share results and what are the plans going forward? Barker: This is one area where we have decided that some refinement is necessary. Currently the mechanism that we use to present some of these results back to the community is through publications. It’s a pretty typical route. We’ve had some success there and, for example, we have papers on our work with DGX-1 in the submission process right now. We want to expand how we do this and are still developing the plans. Hosting user group meetings is another way. Just two weeks ago, we hosted the first Data Vortex user group meeting at PNNL and CENATE was a player in that it brought together a couple of other programs that were looking at the data vortex architecture. That was a really successful workshop. Researchers from DoE, other government agencies, academic researchers came here to PNNL specifically about the data vortex architecture which is a big architecture in CENATE. We actually have two Data Vortex machines. That’s an example we can point to where we can say CENATE is making an impact in the community. The NDA issues are sometimes very tricky but we have some experience with other projects where similar issues have arisen so we do have some strategies to deal with NDA issues. HPCwire: How will you reach potential collaborators. There’s the technical steering committee but given its relatively small size, who will you reach beyond its immediate interests and attract other collaborators? HPCwire: Thank you for your time.